As any person who has taken introduction to film studies will tell you, French New Wave directory Jean-Luc Godard is one of the most influential filmmakers of all time. But what does that actually mean? Isn’t that just some film nerd talk? Does Jean-Luc Godard actually still have an influence in the movies we’re watching today? To answer that questions, and to celebrate Godard’s 85th birthday, the folks at Slate put together a Godard-homage supercut showing some notable examples of directors lifting directly from Godard’s films. It includes clips from films by a ton of directors, including Martin Scorsese, Quentin Tarantino, Paul Thomas Anderson, Wes Anderson, and Alejandro González Iñárritu. 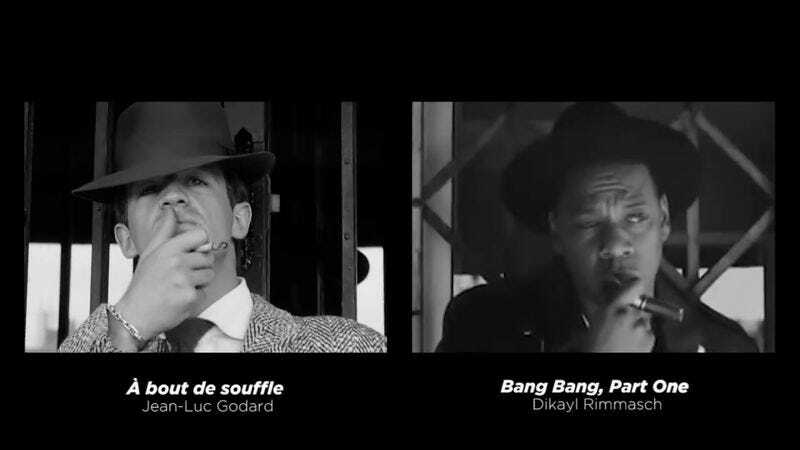 If anything, this supercut proves that Godard is even more influential than we realize, which is kind of a bummer, because it means we have to admit that all the pretentious 21-year-old dudes who are “really into French New Wave” are actually right about something.